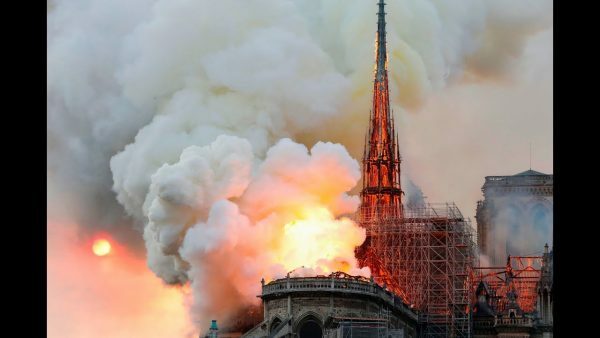 The entire world was absolutely shocked by the massive fire that engulfed the Notre Dame cathedral on Monday. We are being told that the structure of the cathedral has been saved, but according to CNN the “entire wooden interior of Notre Dame Cathedral has been lost”. Now that the initial shock of the fire has subsided, the Internet is buzzing with speculation about the origin of the fire. In the end, there are only two options. Either this was an accident, or someone intentionally started the fire. And if the fire was intentionally started, obviously someone had a motive for doing so. Hale deleted the tweet just a few minutes later. Was he lying about what he had been told? Coming from a professional journalist, that doesn’t seem likely. Instead, it is much more likely that Hale quickly figured out that he said something that he wasn’t supposed to say. A YouTube video that purportedly contains audio of Muslims celebrating the fire at the Notre Dame cathedral has also sparked a lot of speculation. But at this point there doesn’t appear to be any way to verify the authenticity of the video. But what we do know is that all of this comes at a time when churches all over France are being attacked. While Notre Dame is undoubtedly the most well-known landmark to be affected, Paris’ second largest church, Saint-Sulpice, briefly burst into flames on March 17, the fire damaging doors and stained glass windows on the building’s exterior. Police later reported that the incident had not been an accident. Last Sunday, marauders set fire to the church of Saint-Sulpice — one of Paris’ largest and most important churches — shortly after the twelve-o’clock Mass. Could it be possible that there is a connection between those attacks and the fire that just erupted at the Notre Dame cathedral? That is a question that any decent investigator would be asking at this point. The number of anti-Semitic attacks (541) rose 74 percent from 2017-2018 while anti-Muslim attacks numbered just 100, the lowest since 2010. Meanwhile in the same period, there were 1063 anti-Christian attacks, a slight increase on the previous year. According to reports, the number of Jews fleeing France for their safety has dramatically increased since 2000. In one Paris suburb alone – Seine-Saint-Denis – 40 percent of the population is Muslim while 400,000 illegal immigrants also live there. But in this politically-correct era, we aren’t supposed to talk about attacks against Christians, and this is especially true if those attacks are conducted by radical Islamists. On Monday, even anchors at Fox News had apparently been instructed that any speculation about who started the Notre Dame cathedral fire must be immediately shut down. These days there is very little difference between Fox News and the other major news networks, and that is very unfortunate. The company blamed the mixup on its algorithms. 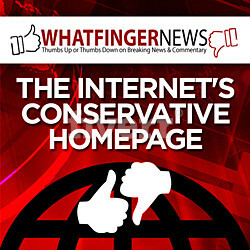 It removed the links on all Notre Dame fire posts after the issue was flagged. In this day and age, the “spin” is often more important than the actual events themselves. In the coming days, a tremendous effort will be made to get us to feel a certain way about the Notre Dame cathedral fire. But what would be so wrong with allowing us to think for ourselves and allowing us to come to our own conclusions? The Internet was one of the last bastions for global free speech, but now the heavy hand of censorship is descending, and our ability to freely discuss global events is eroding a little bit more with each passing day. The COMPLETE Sell-Out Of America To The Brotherhood Mafia: Seaports & Islamist Reps, Omar & Tlaib, Seal The Deal!